Manasi is an incredible listener and is able to think creatively and practically at the same time. Her designs are wonderful and very professional! She masterfully completed my projects right on time and made sure to check in along the way. 5 stars! Róisín Adams is a composer, pianist and educator based in Vancouver, Canada, whose work has been praised for its evocative, entrancing and ethereal qualities. She is also the founder of the improvisatory instrumental jazz band Hildegard’s Ghost. The goal was to create a portfolio website to showcase her talent, teaching and musical collaborations with other artists. She also wanted her website to be a medium for people to connect with her for concert engagements and other enquiries. 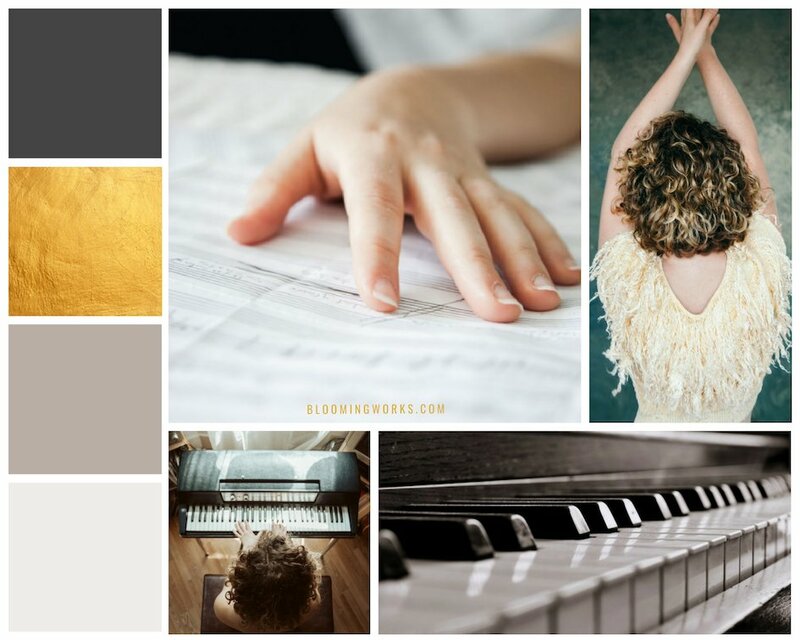 For this website, we choose a simple yet sophisticated palette of greys and gold. The website features diagonal sections to divide the content and for Typography we choose the trendy and classy Josefine Sans. The website looks elegant, clean and is extremely easy to navigate, even on mobile.